Copies are available from Joy Appleton 01488 608422, Sue Downes 01488 608285 or Marion Knape 01488 608618 or by email: church@boxford.org.uk. 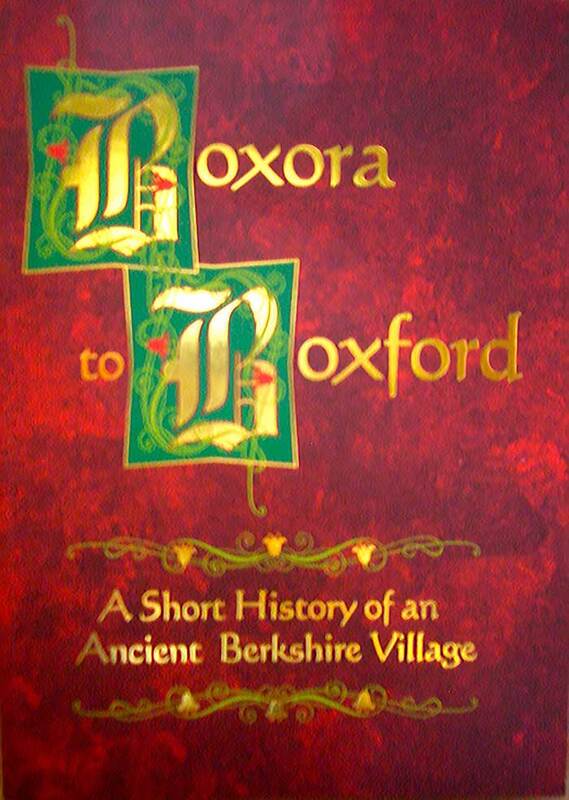 All households in Boxford Parish received a free copy of Boxora to Boxford. Boxford’s Parish Plan, completed in 2008, identified strong support for the printing of a simple parish history. Indeed at the time of compiling the Parish Plan there had been such a great demographic change, that there were few “locals” who knew the history of the parish before World War II. A more comprehensive history of the parish “Boxford Barleycorn” written by local teacher Elsie Huntley has long been out of print. Her book provided the starting point for the further research work undertaken by the Boxford History Project team in 2008. The team is greatly indebted to many for their generous giving of information, artefacts, film and photographs; all of which has helped us to understand better the history of this treasured little place now called Boxford. As with all histories, new information comes to light all the time and we hope that in future years, another group will have the enthusiasm to update this history of Boxford. On a personal level, I would like to pay tribute to the dedicated sleuths who have contributed so much to the making of this little book – The Boxford History Project team: Sue Downes, Marion Knape, Margaret Rigby, Prue Willison and Steve Smart.